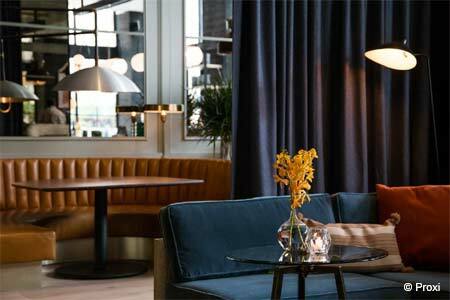 CURRENT breathes life into Italian classics at the W Chicago Lakeshore hotel. 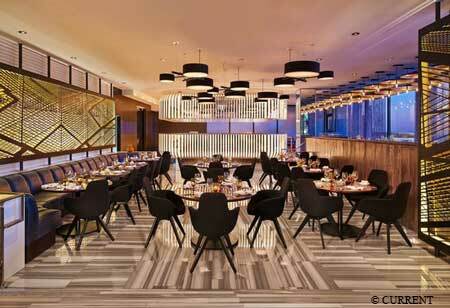 : Come for the front-row views of Lake Michigan and fresh spins on Italian dishes. Located on the Living Level of the W Chicago Lakeshore hotel, CURRENT has a contemporary vibe that reflects its swank surroundings. As for the menu, expect plenty of pizza, handmade pastas and seafood options with a twist, including fennel sausage pizza and bucatini pasta. Local ingredients are utilized wherever possible, evident in the dessert selection of Black Dog Gelato. Also of note is the restaurant’s assortment of original cocktails. Concoctions like the Blackberries Smashed & Savory (Bulleit Rye, blood orange, lemon and blackberries) taste closer to a juice drink than booze. Fortified wine is available, in the form of sherry, Merlot and more.